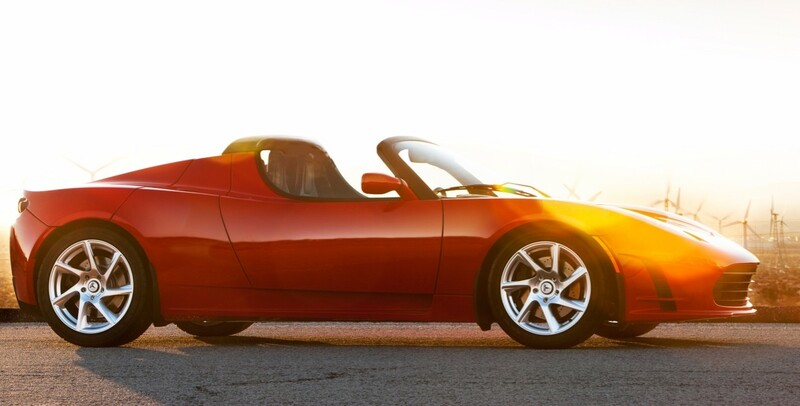 Last year, Elon Musk confirmed that Tesla will be releasing a new Roadster by 2019. 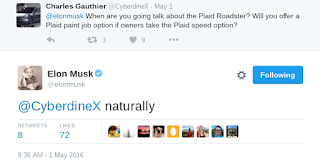 However there was no further details on what the car might look like when production starts except that it will be built on a completely new platform (possibly baring the new front of Model S & X or Model 3) and it will have a new feature called "maximum plaid" mode in reference to Spaceballs the movie. Supposedly "maximum plaid" will be similar to "Ludicrous mode" on all the new Tesla models giving the roadster an extra torque boost on launch. 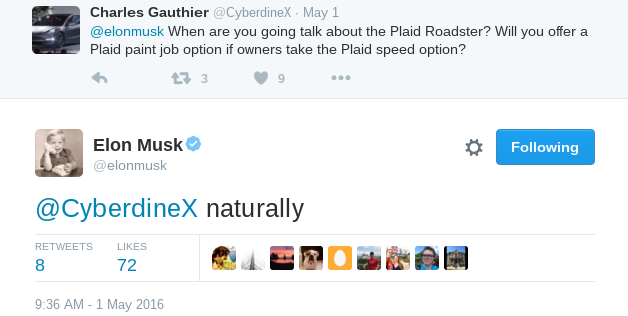 Today Elon Musk added that those who will order the new Roadster with maximum plaid will "naturally" have Plaid color to order as option. Let's hope Elon Musk is not pulling our leg on this one.